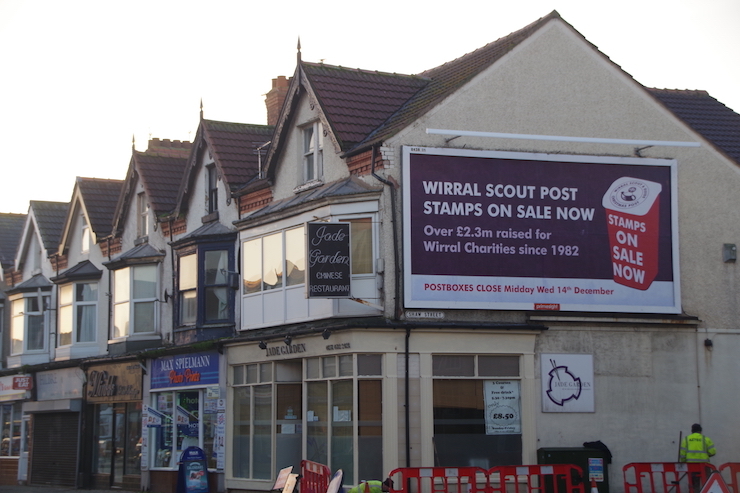 With Christmas just around the corner and the time of sending cards to friends and loved ones getting closer, the annual Wirral Scout and Guide Christmas Post stamps are on sale now until the 14th December 2016 and are again 30p each to purchase. The Scouts and Guides have been selling stamps and delivering your Christmas cards, across Wirral, for the past thirty-four years in order to raise money to support local charities. Since 1982, Wirral Christmas Post has supported over 220 local charities and last year it supported 20 including: Dogs for Good, Ronald McDonald House – Arrowe Park, Wirral Holistic Cancer Care, Clatterbridge Cancer Care, Hoylake Parade Community Centre, Ferries Family Groups and Newlife. The support and donations that Wirral Christmas Post have made to charities, have only been possible because of you. With Christmas being the season of joy, we would like to share with you, just some of the joy that was created from the donations Wirral Scout and Guide Charity Post were able to make to local charities, from last year’s stamp sales. Dogs for Good was just one of the charities that the Wirral Christmas Post donated to last year and their amazing work supports people by partnering them with trained assistance dogs that offer both support and friendship. One of the partnerships that Dogs for Good were able to form, was that of Mary Lamb and Yan. Mary lives in Pensby and was diagnosed with (HNPP) Hereditary Neuropathy with Pressure Palsies back in 2007. This condition can be extremely painful and mainly affects the arms, hands, legs and feet, making walking and picking things up difficult to complete. Before partnered with Yan, she admits that venturing out of the house was a rare experience however, since Yan has become a part of her life, Mary’s life has seen a positive change. Mary, comments: “The transformation in my life is all down to Yan; he is, quite simply, amazing, he has changed everything”. Mary and Yan are just one partnership that Dogs for Good have formed, made possible by the donation the Scout Christmas Post were able to make to the charity, from the sale of the stamps. Another beneficiary of the 2015 Wirral Christmas Post was that of Newlife. Newlife help to support children, across the Wirral, who have disabilities and are desperate for help. One of those children, whose life has changed from the help of Newlife, is four-year-old Harry from Birkenhead. Harry has Autism Spectrum Disorder; he is a very poor sleeper with no awareness of danger. Newlife and the donations they have received have enabled a new specialist bed to be provided to Harry, giving him a safe place to sleep. His new bed is enclosed and therefore reduces the risk of injury and meets his sensory needs, improving Harry’s sleeping pattern whilst also providing a restful sleep for the rest of the family. Kerry, Harry’s mum, comments: “Having a secure bed for Harry to sleep where he is safe during the night has brought such a peace of mind. Knowing he is safe if he wakes and cannot climb or fall or wander around the house is so reassuring. We cannot thank enough everyone who made it possible for him”. Mary and Harry are just two who have benefitted from the fantastic work that charities across the Wirral offer, all made possible from the Charity Christmas Post stamps sales. By purchasing your stamps, between the 19th November 2016 and 14th December 2016 and sending your Christmas cards with Wirral Scout and Guides, you can enable other charities across the Wirral to continue their amazing work. David Hulme commented: “We would like to thank you each and every one of you in anticipation of your continued support this year and to wish you all a wonderful Christmas”.